By Barbara Kruger, at the Art Gallery of Ontario in Toronto. 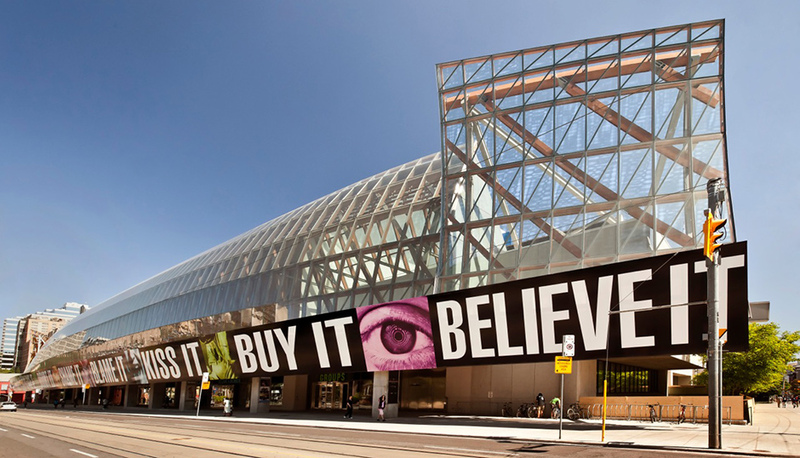 Renowned American artist Barbara Kruger created a large-scale public installation for the AGOs signature glass skirt, which spans an entire city block on the Frank Gehry designed facade. 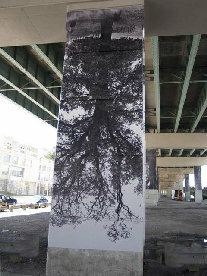 In Toronto, concrete pillars become trees in a topsy-turvy photo-install job. By Angela Prues. Copyright © 2014 Four By Eight Sign Services Inc.